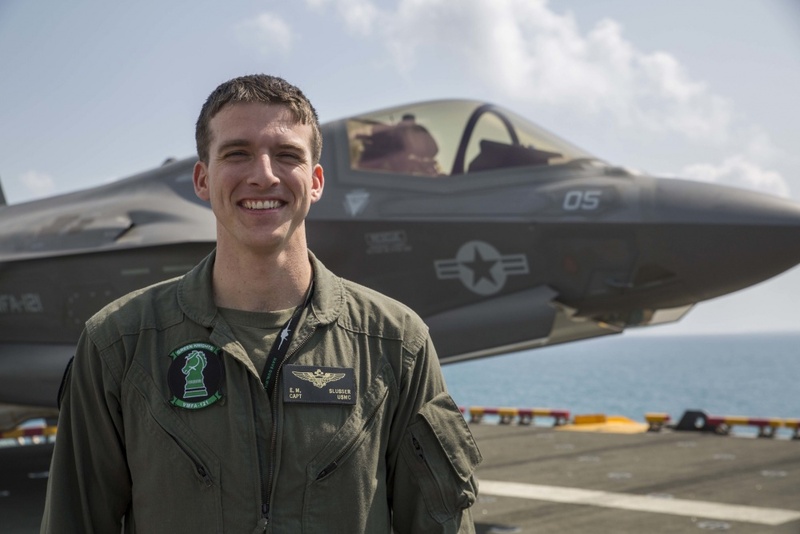 HIGH-FLYING HOKIES: In March 2017, three Virginia Tech alumni, Evan Slusser, John Stuart, and Andrew Thornberg, participated in the first operational deployment of the F-35 with a Marine Expeditionary Unit. 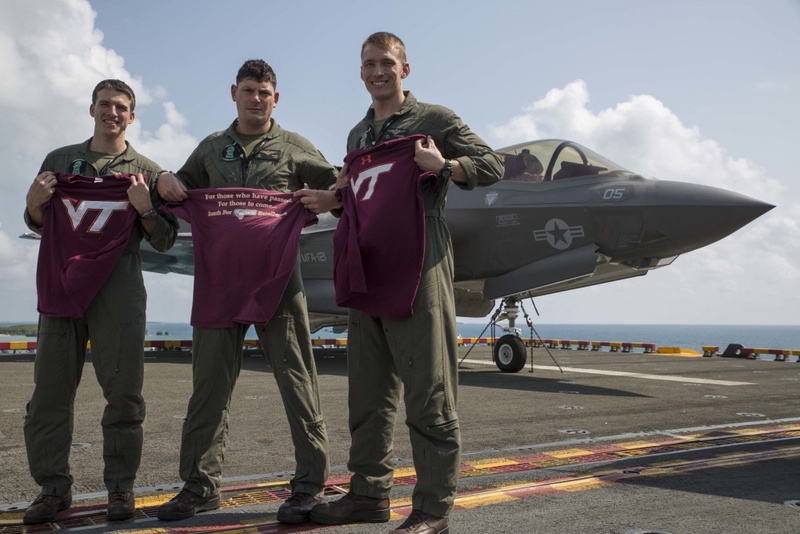 Three Virginia Tech alumni who followed their studies in Blacksburg with careers as pilots in the Marine Corps have found themselves together thousands of miles away. Maj. John Stuart, Capt. Evan Slusser, and Capt. 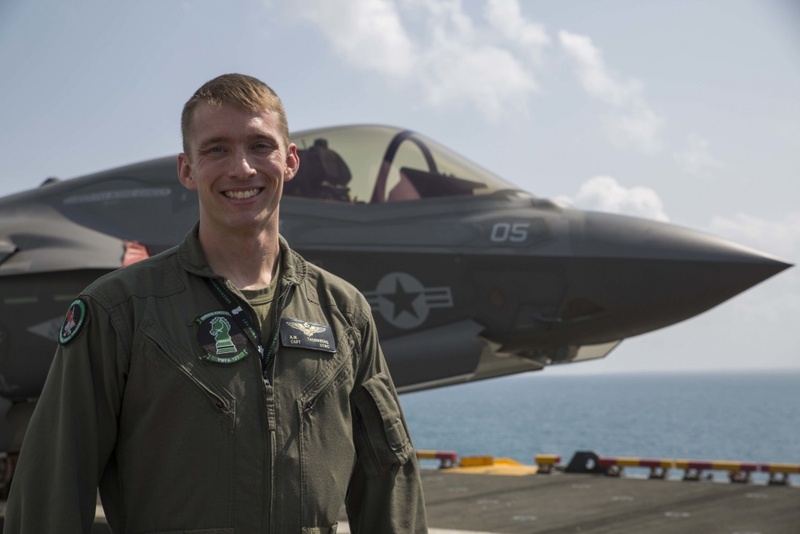 Andrew Thornberg fly the F-35B Lightning II out of Iwakuni, Japan, with Marine Fighter Attack Squadron 121. Flying with the 31st Marine Expeditionary Unit (MEU) aboard the USS Wasp (LHD-1) during Spring Patrol 2018, all three participated in this year’s historic first operational deployment of the F-35B with a MEU. The 31st MEU, based out of Okinawa, Japan, is a forward-deployed, flexible air-ground-logistics team capable of accomplishing a wide range of military operations in support of U.S. Pacific Command. 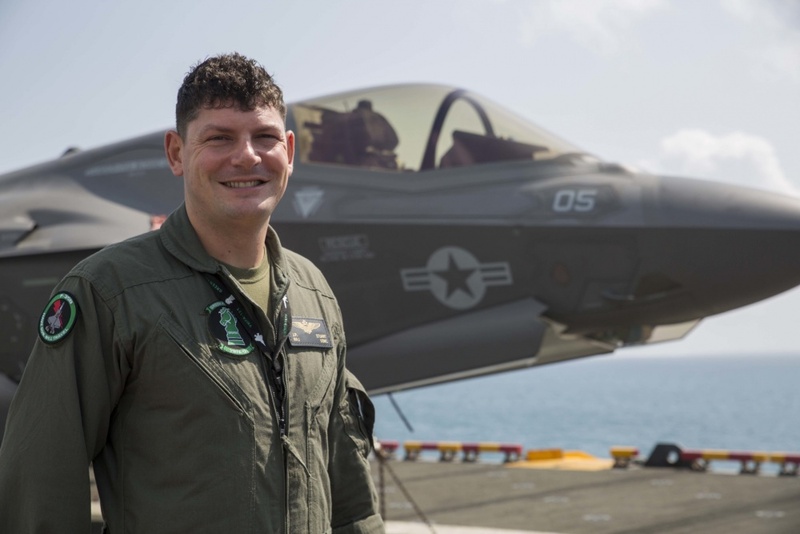 “The fact that three of us end up being pilots in the Marine Corps, who end up flying the F-35, who end up in the same squadron in Japan—the chances are pretty wild” said Slusser, who is from Prince George, Virginia. He graduated in 2011 with a degree in international studies. According to Thornberg, the opportunity to connect with the Virginia Tech community all the way on the other side of the world in Japan is unique. The Hokies even get together to watch televised Tech sports. Thornberg ’07, who earned a degree in international studies, volunteered with the Virginia Tech Rescue Squad. He was a first-responder on April 16, 2007. Stuart ’04 was a member of the Student Engineer’s Council and the Virginia Tech Motocross Club. He has a degree in industrial systems engineering. The Hokies aboard the USS Wasp are committed to their training at sea and to the Marine Corps, but they do have plans for the future. Once a Hokie, always a Hokie. Adapted from a story by Cpl. Bernadette Wildes, 31st Marine Expeditionary Unit, that appeared online at DVIDS, Defense Visual Information Distribution Service, on Apr. 15, 2018.